About 40 summers ago, when he was working in The Smithsonian’s corridors as a janitor, Kevin Merida learned a lesson that served him well in his eventual and very successful career as a journalist. Daily, he and his fellow janitorial crew members emptied garbage cans and buffed floors in virtual anonymity. Even though they were in plain sight of museum patrons, no one acknowledged them, no one asked about their stories. To Merida, he and his colleagues had histories as rich as the Smithsonian’s exhibits. Merida, SVP and editor-in-chief of The Undefeated, shared that thought and more Thursday at the NABJ/NAHJ Convention and Career Fair in Washington, D.C. The five-day event, which began Wednesday, is the nation’s largest convention for journalists of color. Early Thursday morning, Merida was the keynote speaker at the NABJ Sports Task Force Mentor Breakfast Powered By ESPN; by midday, he also was part of a panel entitled “Executive Roundtable: A View from the Top & Inside U.S. Newsrooms,” moderated by ESPN’s Bomani Jones. In the early evening, Merida was host of a job candidate reception for The Undefeated. “I spent 22 years at The Washington Post, the last three as managing editor. I can’t remember having this much fun since a few of us started a black newspaper at Boston University,” Merida said of his 10-month tenure as head of The Undefeated, ESPN’s website exploring the intersection of race, culture and sports. The Undefeated officially debuted in May 2016 and has featured distinctive storytelling on issues big and small. Merida is enthused about the state of journalism and the depth of storytelling talent. Merida’s recent experiences making hires at the Post and ESPN leave him impressed with the journalists emerging from both traditional and nontraditional backgrounds. 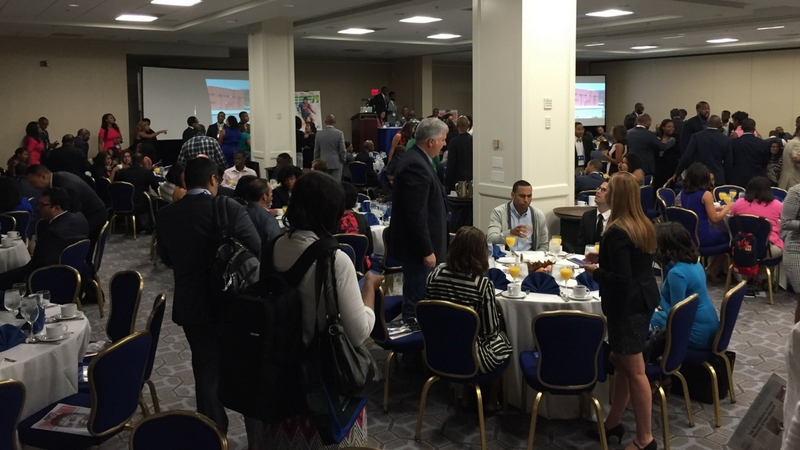 A packed house at the National Association of Black Journalists Sports Task Force Mentor Breakfast Powered By ESPN. To illustrate his third point, Merida cited the work of his former Washington Post colleague Michel du Cille. A three-time winner of the Pulitzer Prize, the photojournalist lobbied for numerous assignments to chronicle the fight against Ebola in West Africa. In December 2014, du Cille died while on assignment in Liberia.